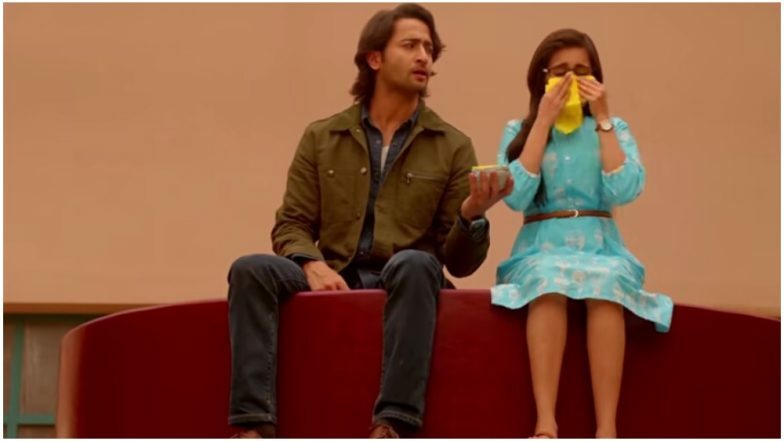 Yeh Rishtey Hain Pyaar Ke April 12, 2019 Written Update Full Episode: Cops Come to Arrest c, Will Abir and Kunal Save the Girls? Mishti comes to Kunal and tells him that they should talk once before getting married. Just then chachi comes and tells Kunal that Rajshree told them that he saved Mishti and took him to the hospital, Kunal gets tensed as Meenakshi will be angry now. There Kuhu and Abir have a good time talking with each other. Abir says that Kuhu is the right girl for Kunal as he wants some spice in his life. There Meenakshi tells Parul to wait outside Abir’s room as she checks inside. Kunal comes up and sees Parul standing outside Abir’s room and goes to see. There Meenakshi finds the same earring in his table and says this will break the proposal, and tells in this house only she will decide who will become Kunal’s bride and not Abir. Kunal sees Kuhu and goes to talk to her (bekudi yeh bekudi track is played in the background), Kuhu asks him why he did this all, Kunal says that he did not reject her and tells her to be friends with him. There Kaushal announces the face-off which is going to start between the boys and the girls. Meenakshi comes to Rajshree and tells sorry as she was busy. Just then the dance starts, Ketki dance (dhol baaje dhol baaje track is played in the background), All enjoy and dance when their turn comes. Dadaji also performs on the stage. Mishti and Kuhu perform the dance (mere kwabon mein jo aaye track is played in the background), Next is Kunal and Abir’s turn to dance (kesar opurma suna lu yeh choriya gam mariya track is played in the background) Mishti and Kuhu also join them in the dance. In the precap, Mishti tells Abir that she wants to talk with him as he is the only friend she has in this house, just then the police comes to arrest Kuhu and Mishti.